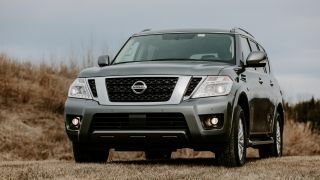 There’s a subtle feature in the 2019 Nissan Armada that is a sign of things to come in all cars. Known as Rear Door Alert (or RDA), the system monitors when a rear door is opened. If you open the door, then go for a drive, lock your car, and walk away without opening the door again, the Armada will honk at you as a reminder. It’s intended as an alert for those who may have a child or a pet in the back – especially important on hot summer days. I tested RDA in the Armada and it’s a little disconcerting at first. I had to think for a minute about why the car was honking at me, as though it had a mind of its own. Ironically, I’ve tested Nissan cars and crossovers with this feature in the past and never thought much about it – oh, the car is honking at me. I thought it was maybe letting me know the doors were really locked. After doing some research in the Armada, I found I could easily disable the feature. RDA is a very basic AI-powered routine. An I mean very basic – the AI keeps track of the fact that you (or someone else) opened a rear door. Then, when you leave the car and lock it, the AI reminds you again – it knows you opened the door, even if it was hours ago. On short trips, RDA was like a nanny – yes, thanks Nissan for letting me know. On longer trips, like the one I took for about 150 miles, the car still remembered I had my laptop bag in the back. Not that the Armada knows it’s a laptop. Similar SUVs from Chevy use a rear seat detection system as well, but a sensor can detect movement in the back and remind you to check for occupants. In the future, cars will be able to detect the type of object in the back. Some Volvo cars, for example, know the difference between a person and a larger animal crossing on a highway based on how the sensor scans the road and detects the size. This is where things get interesting. Future AI routines will keep track of much more complex activities than opening a car door and use sensors much more powerful than the one in the Volvo. For example, AI will eventually know what we’re doing and why. A sensors might detect the size of occupants, noting over a period of time that we always bring one of the kids to soccer practice at the same time every day. A reminder could pop up -- in the car or on our phones – reminding us about practice, even though we don’t have that set as a reminder anywhere. As far as leaving things behind, AI could monitor the size of objects but also whether they emit a heat signature. Eventually, cars will know if there is a pet inside based on sensors that detect movement, a heartbeat, and pet size. What else could an AI detect? From a safety standpoint, I could see an AI tracking who is in the car and deploying airbags in the event of a crash based on their size and occupant seating position. An AI could monitor where we drive and suggest routes that match our own personal taste (say, one that is more scenic). Essentially, an AI would monitor everything about how we drive, where we go, and where we park. If this sounds creepy, welcome to the age of artificial intelligence. (At least we know we can turn off the RDA feature anytime.) The advantages, though, will be that the AI remembers everything about the car and how we drive as a safety precaution – not to annoy us.